2/31 Real Madrid have reached an agreement with Espanyol for the signing of goalkeeper Kiko Casilla for €6 million. Rafael Benitez's Real have been heavily linked with a move for the Spain international and were reported to be in advanced negotiations with Casilla. And the 28-year-old is poised to make the move to the Santiago Bernabeu after Espanyol confirmed that a deal had been finalized. 3/31 Real Madrid have reached an agreement with Espanyol for the signing of goalkeeper Kiko Casilla for €6 million. Rafael Benitez's Real have been heavily linked with a move for the Spain international and were reported to be in advanced negotiations with Casilla. And the 28-year-old is poised to make the move to the Santiago Bernabeu after Espanyol confirmed that a deal had been finalized. 4/31 Andy Murray took Great Britain into their first Davis Cup semi-final in 34 years with a dramatic victory over France's Gilles Simon at Queen's Club. Murray looked exhausted when he trailed by a set and a break, but he hit back to win 4-6 7-6 (7-5) 6-3 6-0. 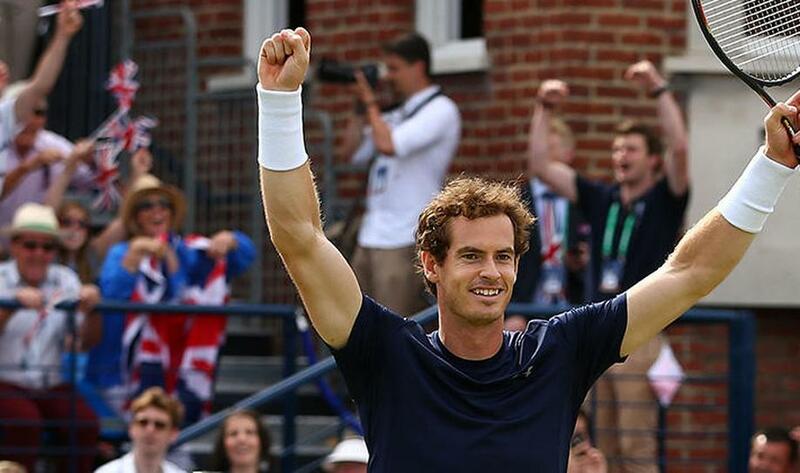 5/31 Andy Murray took Great Britain into their first Davis Cup semi-final in 34 years with a dramatic victory over France's Gilles Simon at Queen's Club. 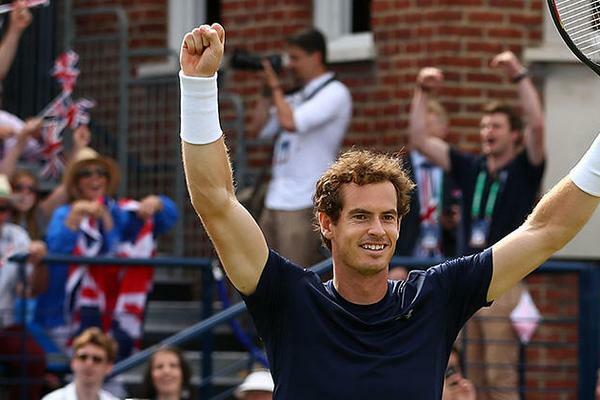 Murray looked exhausted when he trailed by a set and a break, but he hit back to win 4-6 7-6 (7-5) 6-3 6-0. 6/31 Boca Juniors have confirmed the capture of Argentina striker Carlos Tevez, the 31-year-old moving back to his homeland. Tevez played with Boca from 2001-04 after several years with the youth team in Buenos Aires, before one brilliant season with Brazilian powerhouse Corinthians was followed by a successful stint in Europe. 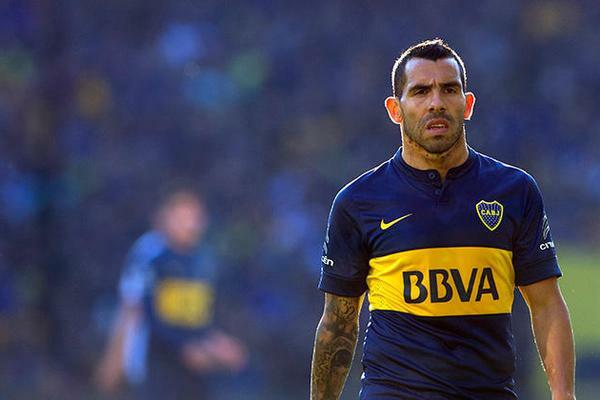 7/31 Boca Juniors have confirmed the capture of Argentina striker Carlos Tevez, the 31-year-old moving back to his homeland. Tevez played with Boca from 2001-04 after several years with the youth team in Buenos Aires, before one brilliant season with Brazilian powerhouse Corinthians was followed by a successful stint in Europe. 8/31 Real Madrid have been named the world's most valuable sports team by Forbes, edging Dallas Cowboys and New York Yankees into second and third respectively. The Spanish football powerhouse lead the Forbes list of the 50 most valuable sports franchises for the third consecutive year, although Forbes pegs their value at $3.26 billion, down slightly from last year. 9/31 Real Madrid have been named the world's most valuable sports team by Forbes, edging Dallas Cowboys and New York Yankees into second and third respectively. 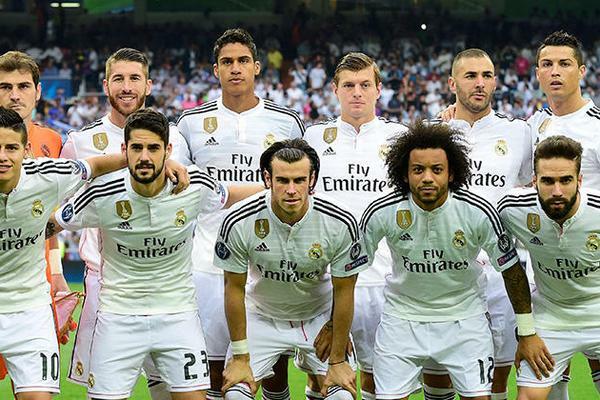 The Spanish football powerhouse lead the Forbes list of the 50 most valuable sports franchises for the third consecutive year, although Forbes pegs their value at $3.26 billion, down slightly from last year. 10/31 A leadoff home run courtesy of Mike Trout put the American League team in the lead early, and despite a retaliation by the National League, the AL scored five more times to come away with a 6-3 All-Star Game victory at Great American Ballpark. 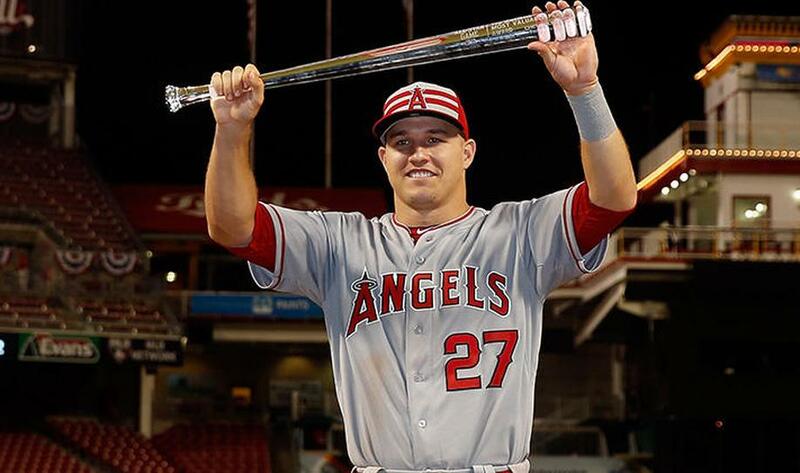 Trout was awarded the All-Star Game MVP award for a second straight year. 11/31 A leadoff home run courtesy of Mike Trout put the American League team in the lead early, and despite a retaliation by the National League, the AL scored five more times to come away with a 6-3 All-Star Game victory at Great American Ballpark. 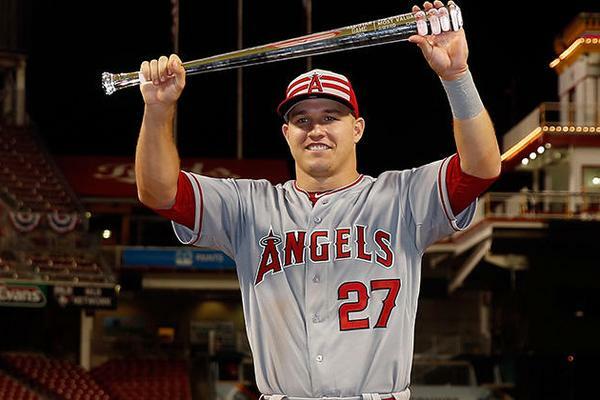 Trout was awarded the All-Star Game MVP award for a second straight year. 12/31 Chaz Davies has won the opening race at Laguna Seca after a lights to flag display saw the British rider take the win by 1.798s. At the flag and after a tense, race long duel 2nd and 3rd went to Tom Sykes and Jonathan Rea, the pair pushing each other to limit throughout. 13/31 Chaz Davies has won the opening race at Laguna Seca after a lights to flag display saw the British rider take the win by 1.798s. At the flag and after a tense, race long duel 2nd and 3rd went to Tom Sykes and Jonathan Rea, the pair pushing each other to limit throughout. 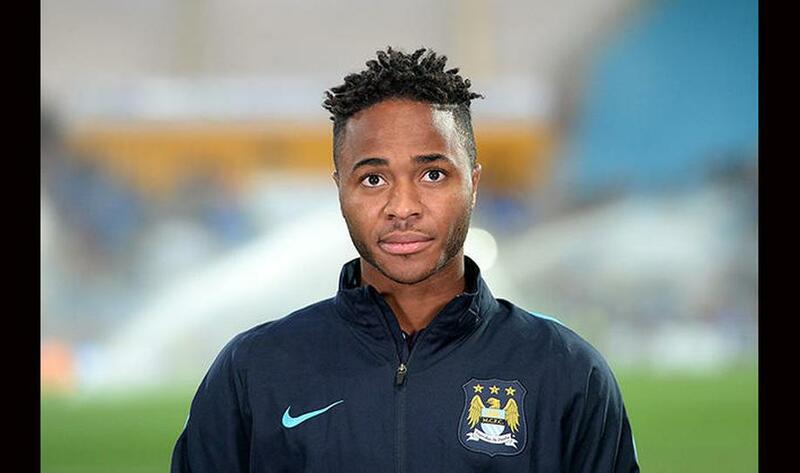 14/31 Manchester City have completed a record-breaking deal to sign Raheem Sterling from Liverpool. The England winger has moved to the Etihad Stadium on a five-year-deal, for a fee that makes him the most expensive English player in history and City's record signing. 15/31 World Cup winner Alcides Ghiggia died aged 88, the dual international famous for his role in the 1950 showpiece tournament. Ghiggia represented both Uruguay and Italy in his playing career, and it was in his first year as an international footballer in which he rose to fame - scoring the decisive goal in Uruguay's 2-1 win over Brazil to win the World Cup at the Maracana. Fittingly, Thursday was the 65th anniversary of Ghiggia's World Cup heroics. 16/31 World Cup winner Alcides Ghiggia died aged 88, the dual international famous for his role in the 1950 showpiece tournament. Ghiggia represented both Uruguay and Italy in his playing career, and it was in his first year as an international footballer in which he rose to fame - scoring the decisive goal in Uruguay's 2-1 win over Brazil to win the World Cup at the Maracana. Fittingly, Thursday was the 65th anniversary of Ghiggia's World Cup heroics. 17/31 Clint Dempsey struck a hat-trick as United States cruised into the CONCACAF Gold Cup semi-finals with a 6-0 thrashing of Cuba. Dempsey, who opened the scoring before adding two goals in the second half, is now within 10 of USA's all-time leading goalscorer Landon Donovan. Jurgen Klinsmann's men were a class above, with Gyasi Zardes, Aron Johannsson and Omar Gonzalez also netting. 19/31 In an emotional week in sports world, Iker Casillas said goodbye to Real Madrid and Carlos Tevez returned to Boca Juniors. 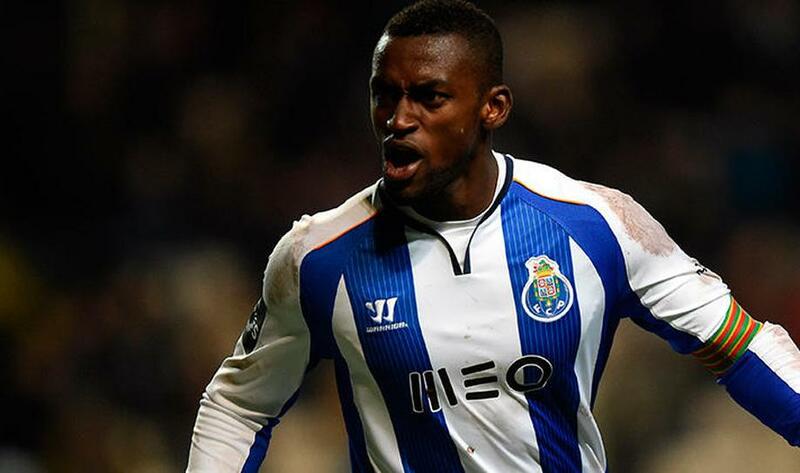 20/31 Atletico Madrid have confirmed the signing of Jackson Martinez from Porto. The Portuguese side had already confirmed that the player would depart to join Diego Simeone's team, but it has now been confirmed that he will sign a four-year contract in the Spanish capital. After selling Mario Mandzukic to Juventus, Atletico have paid the €35 million release clause to bring the 28-year-old to the Spanish capital. 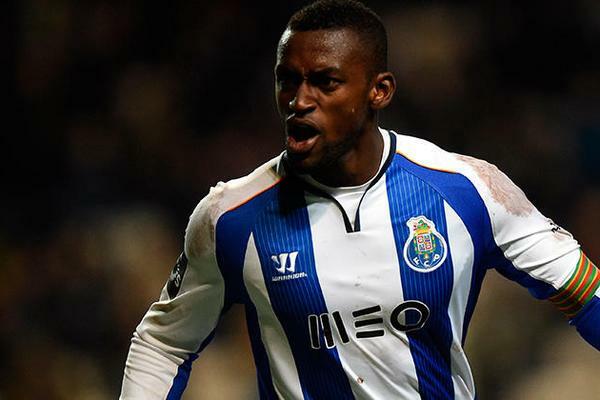 21/31 Atletico Madrid have confirmed the signing of Jackson Martinez from Porto. The Portuguese side had already confirmed that the player would depart to join Diego Simeone's team, but it has now been confirmed that he will sign a four-year contract in the Spanish capital. After selling Mario Mandzukic to Juventus, Atletico have paid the €35 million release clause to bring the 28-year-old to the Spanish capital. 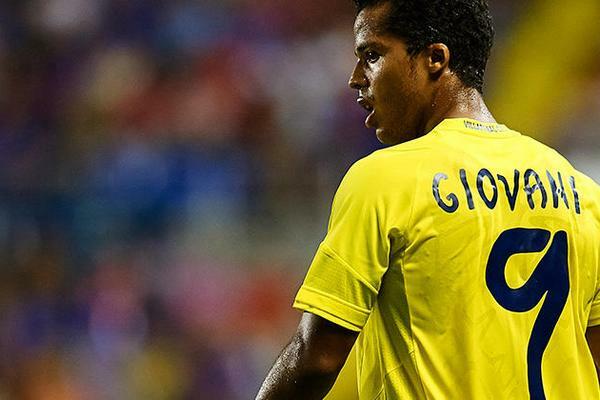 22/31 LA Galaxy coach Bruce Arena has confirmed the club's signing of Giovani dos Santos from Villarreal. The versatile attacker has penned a four-and-a-half-year contract with the MLS champions, who have been trying to acquire the former Barcelona man since 2011. 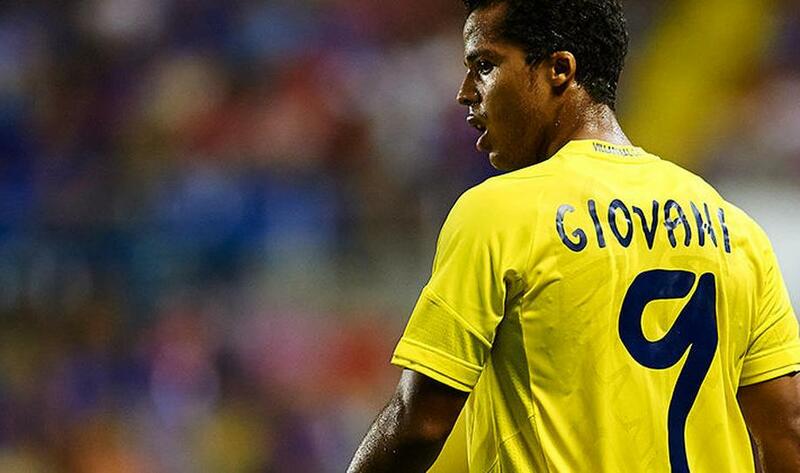 23/31 LA Galaxy coach Bruce Arena has confirmed the club's signing of Giovani dos Santos from Villarreal. The versatile attacker has penned a four-and-a-half-year contract with the MLS champions, who have been trying to acquire the former Barcelona man since 2011. 24/31 Iker Casillas is no longer a Real Madrid player after waving goodbye to the club ahead of his move to Porto. The Spain goalkeeper, who played 725 first-team games for the side he first represented as a nine-year-old in 1990, announced his exit during a brief but emotional press. However, Casillas returned to the Santiago Bernabeu for a specially arranged tribute ceremony led by club president Florentino Perez. 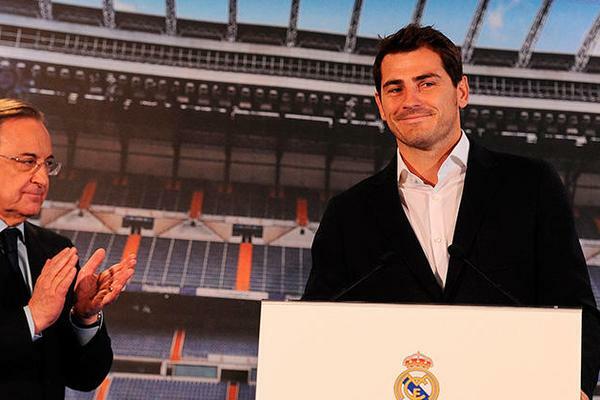 25/31 Iker Casillas is no longer a Real Madrid player after waving goodbye to the club ahead of his move to Porto. The Spain goalkeeper, who played 725 first-team games for the side he first represented as a nine-year-old in 1990, announced his exit during a brief but emotional press. However, Casillas returned to the Santiago Bernabeu for a specially arranged tribute ceremony led by club president Florentino Perez. 26/31 Finally, Formula One driver Jules Bianchi has died nine months after suffering severe head injuries in a crash at the 2014 Japanese Grand Prix. 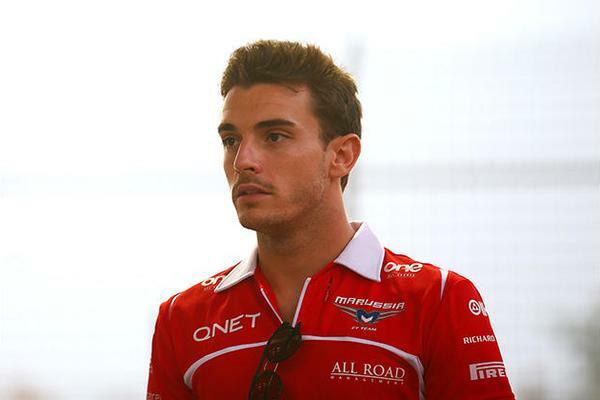 The news was posted on Bianchi’s official Twitter feed and later confirmed by the Manor F1 team. 27/31 Finally, Formula One driver Jules Bianchi has died nine months after suffering severe head injuries in a crash at the 2014 Japanese Grand Prix. 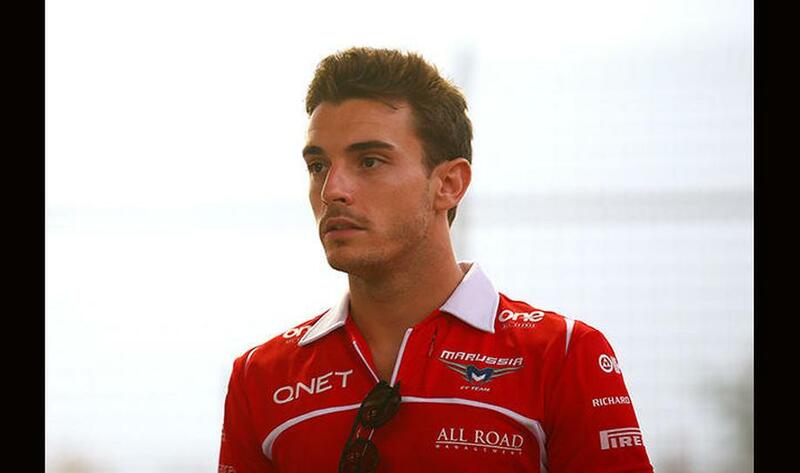 The news was posted on Bianchi’s official Twitter feed and later confirmed by the Manor F1 team. 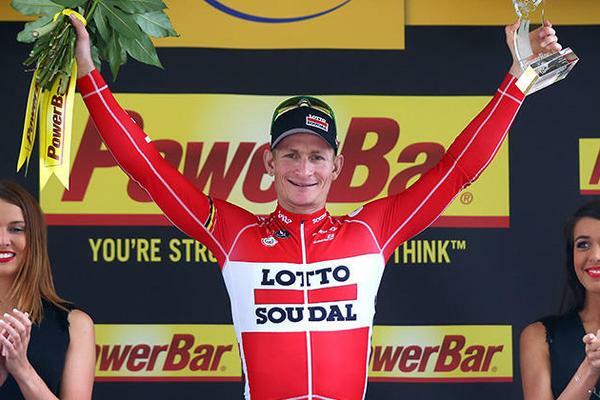 28/31 Andre Greipel of the Lotto-Soudal team won Stage 15 after a sprint for the line between four riders. Giant-Alpecin's John Degenkolb was second, with Katusha's Alexander Kristoff third and Peter Sagan of Tinkoff-Saxo finishing fourth. Team Sky's Chris Froome of Britain retains the overall lead after the 183-kilometer (114-mile) eastward trek from Mende to Valence. 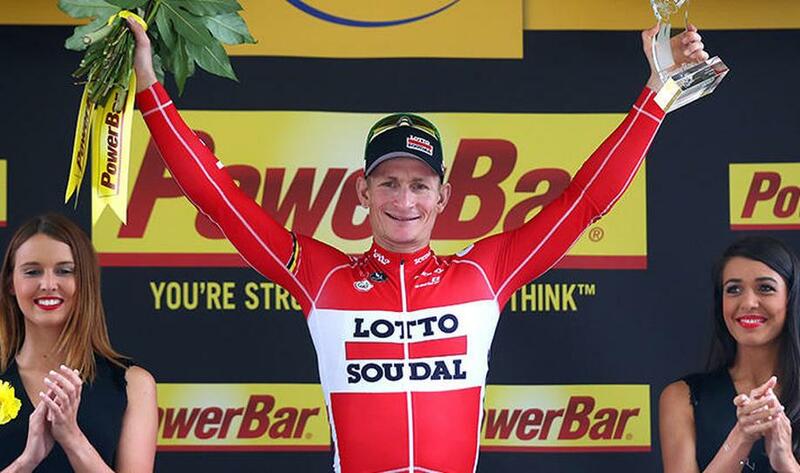 29/31 Andre Greipel of the Lotto-Soudal team won Stage 15 after a sprint for the line between four riders. Giant-Alpecin's John Degenkolb was second, with Katusha's Alexander Kristoff third and Peter Sagan of Tinkoff-Saxo finishing fourth. Team Sky's Chris Froome of Britain retains the overall lead after the 183-kilometer (114-mile) eastward trek from Mende to Valence. 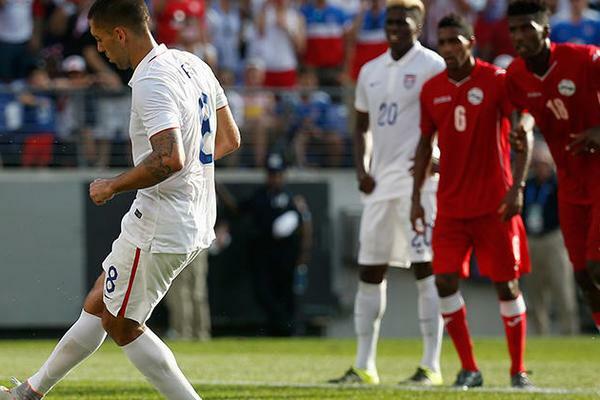 30/31 Clint Dempsey struck a hat-trick as United States cruised into the CONCACAF Gold Cup semi-finals with a 6-0 thrashing of Cuba. Dempsey, who opened the scoring before adding two goals in the second half, is now within 10 of USA's all-time leading goalscorer Landon Donovan. Jurgen Klinsmann's men were a class above, with Gyasi Zardes, Aron Johannsson and Omar Gonzalez also netting. 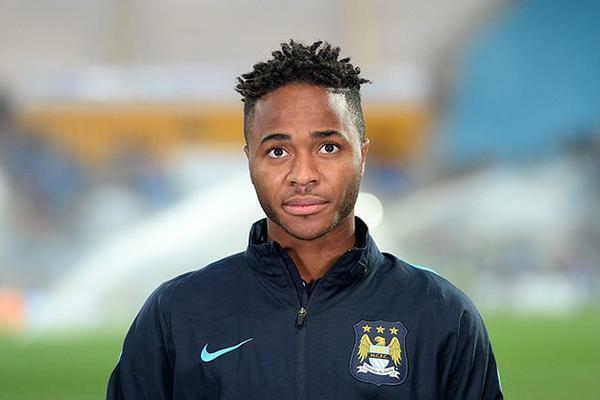 31/31 Manchester City have completed a record-breaking deal to sign Raheem Sterling from Liverpool. The England winger has moved to the Etihad Stadium on a five-year-deal, for a fee that makes him the most expensive English player in history and City's record signing. 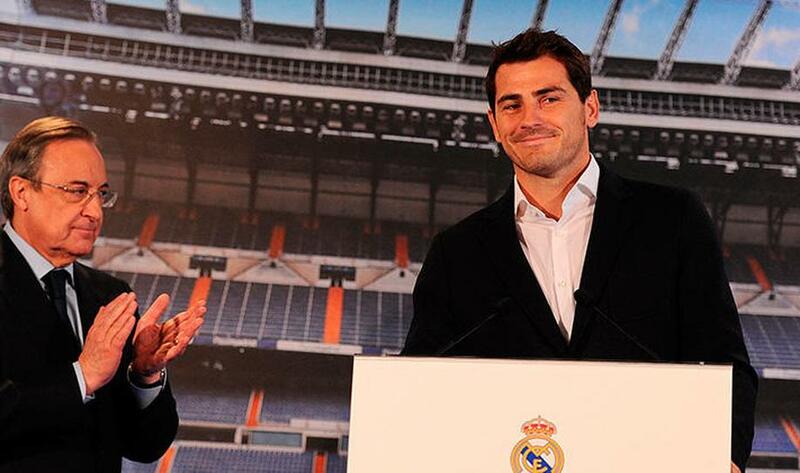 Iker Casillas is no longer a Real Madrid player after waving goodbye to the club ahead of his move to Porto. The Spain goalkeeper, who played 725 first-team games for the side he first represented as a nine-year-old in 1990, announced his exit during a brief but emotional press. However, Casillas returned to the Santiago Bernabeu for a specially arranged tribute ceremony led by club president Florentino Perez. Iker Casillas fue protagonista de otra despedida del Real Madrid. En esta ocasión, tanto él como el presidente del club, Florentino Pérez, hablaron ante los medios. Además, en esta ocasión, los aficionados madridistas tuvieron la oportunidad de homenajear al guardameta. Real Madrid have been named the world's most valuable sports team by Forbes, edging Dallas Cowboys and New York Yankees into second and third respectively. 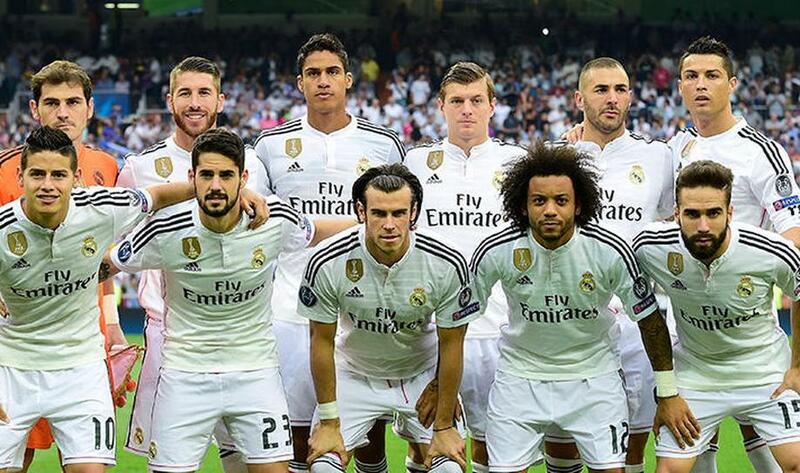 The Spanish football powerhouse lead the Forbes list of the 50 most valuable sports franchises for the third consecutive year, although Forbes pegs their value at $3.26 billion, down slightly from last year. Por tercer año consecutivo, el Real Madrid encabeza la lista de marcas deportivas más valiosas del planeta, por delante de los Dallas Cowboys de los New York Yankees, que son segundo y tercero respectivamente. La entidad madrileña mantiene un valor de 3'26 millones de dólares, una cifra algo menor que la del pasado año. 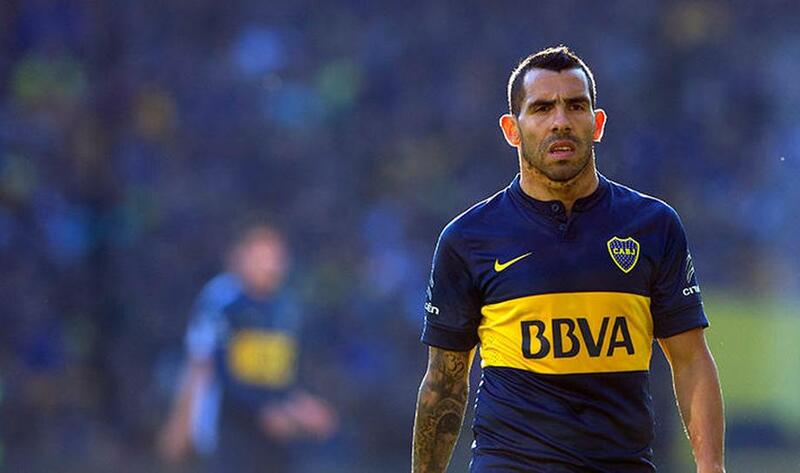 Boca Juniors have confirmed the capture of Argentina striker Carlos Tevez, the 31-year-old moving back to his homeland. Tevez played with Boca from 2001-04 after several years with the youth team in Buenos Aires, before one brilliant season with Brazilian powerhouse Corinthians was followed by a successful stint in Europe. Lo que era un secreto a voces desde hace más de un mes ya es oficial; Carlos Tevez será jugador de Boca Juniors la próxima temporada, después de que la Juventus lo anunciase mediante un comunicado emitido por el club y en el que detalla la venta del argentino. Boca Juniors pagará por Carlos Tevez 6.5 millones de euros en un solo plazo el día 15 de diciembre de 2016. Atletico Madrid have confirmed the signing of Jackson Martinez from Porto. The Portuguese side had already confirmed that the player would depart to join Diego Simeone's team, but it has now been confirmed that he will sign a four-year contract in the Spanish capital. After selling Mario Mandzukic to Juventus, Atletico have paid the €35 million release clause to bring the 28-year-old to the Spanish capital. Pese a que ya hace varias semanas se daba por hecho e incluso informábamos de ello, ha sido ahora cuando el Atlético de Madrid ha hecho oficial el fichaje de Jackson Martínez, delantero que militaba en el Porto. Martínez pasa a engrosar las filas del cuadro de Diego Simeone para las próximas cuatro temporadas. El Atlético pagó una cláusula de rescisión de € 35 millones por el jugador de 28 años. Manchester City have completed a record-breaking deal to sign Raheem Sterling from Liverpool. The England winger has moved to the Etihad Stadium on a five-year-deal, for a fee that makes him the most expensive English player in history and City's record signing. Tras unos meses llenos de convulsión en torno al joven jugador inglés Raheem Sterling, el Liverpool ha aceptado la millonaria oferta del Manchester City por la cual Sterling se une al conjunto de Manuel Pellegrini. 68 millones de euros es la cantidad por la que el extremo cambia Anfield por el Etihad Stadium, una cifra que le convierte en el futbolista inglés más caro de la historia. LA Galaxy coach Bruce Arena has confirmed the club's signing of Giovani dos Santos from Villarreal. The versatile attacker has penned a four-and-a-half-year contract with the MLS champions, who have been trying to acquire the former Barcelona man since 2011. Tras cuatro años de búsqueda, finalmente LA Galaxy ha anunciado la contratación del delantero mexicano del Villarreal Giovani Dos Santos. Cutting Edge, agencia que respresenta los intereses de Giovani dos Santos, confirmó que el delantero mexicano deja al Villarreal para fichar por el Galaxy. El jugador, de 26 años de edad, ha firmado con el club americano un contrato de cuatro años y medio para jugar en la MLS de Estados Unidos. Real Madrid have reached an agreement with Espanyol for the signing of goalkeeper Kiko Casilla for €6 million. Rafael Benitez's Real have been heavily linked with a move for the Spain international and were reported to be in advanced negotiations with Casilla. And the 28-year-old is poised to make the move to the Santiago Bernabeu after Espanyol confirmed that a deal had been finalized. Kiko Casilla, nuevo portero del Real Madrid, se despidió del Espanyol en una rueda de prensa desde Barcelona, donde habló del equipo al que deja y del club al que se dirige. "Este tren solo pasa una vez y lo quiero aprovechar", comentó el ya ex guardameta perico, muy ilusionado con su nueva aventura en el Real Madrid. "Voy con la ilusión de un niño pequeño, con la que me fui allí con 14 años", añadió el nuevo portero blanco. 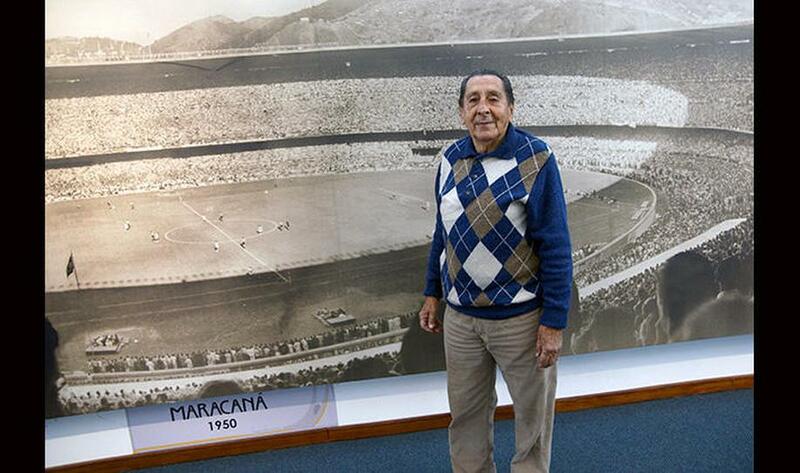 World Cup winner Alcides Ghiggia died aged 88, the dual international famous for his role in the 1950 showpiece tournament. Ghiggia represented both Uruguay and Italy in his playing career, and it was in his first year as an international footballer in which he rose to fame - scoring the decisive goal in Uruguay's 2-1 win over Brazil to win the World Cup at the Maracana. Fittingly, Thursday was the 65th anniversary of Ghiggia's World Cup heroics. 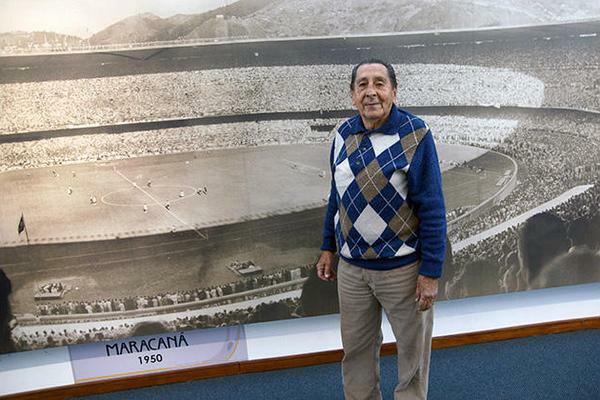 Parece obra del destino: el mismo día en que se cumplían 65 años del histórico 'Maracanazo', en el que Uruguay conquistó el Mundial de 1950 en el corazón futbolístico de Río de Janeiro, falleció Alcides Ghiggia, autor del 2-1 definitivo que dejaba a la 'Celeste' en la historia del fútbol. A los 88 años, falleció a causa de un paro cardíaco. Clint Dempsey struck a hat-trick as United States cruised into the CONCACAF Gold Cup semi-finals with a 6-0 thrashing of Cuba. Dempsey, who opened the scoring before adding two goals in the second half, is now within 10 of USA's all-time leading goalscorer Landon Donovan. Jurgen Klinsmann's men were a class above, with Gyasi Zardes, Aron Johannsson and Omar Gonzalez also netting. Estados Unidos confirmó su condición de máxima candidato al título, al derrotar de manera contundente por 6-0 a una débil Selección cubana que se despidió con otra goleada de la Copa Oro 2015. 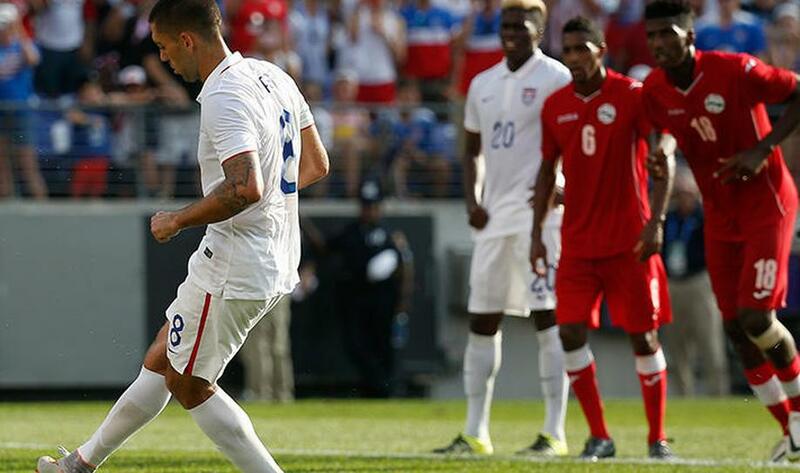 Clint Dempsey fue la estrella con un hat-trick. 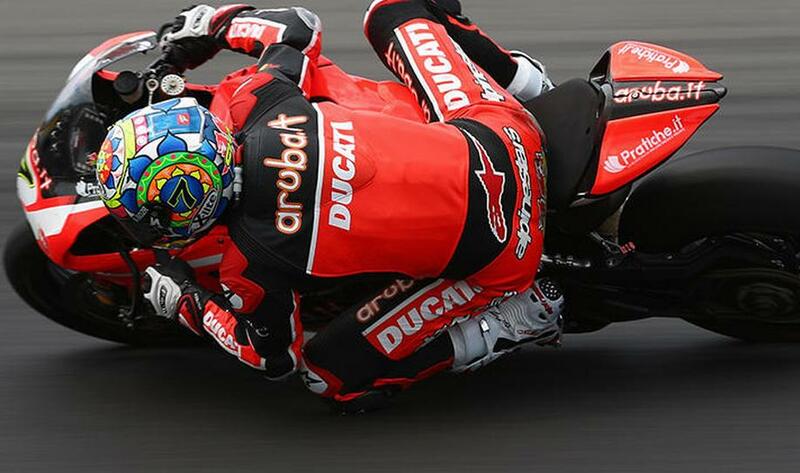 Chaz Davies has won the opening race at Laguna Seca after a lights to flag display saw the British rider take the win by 1.798s. At the flag and after a tense, race long duel 2nd and 3rd went to Tom Sykes and Jonathan Rea, the pair pushing each other to limit throughout. 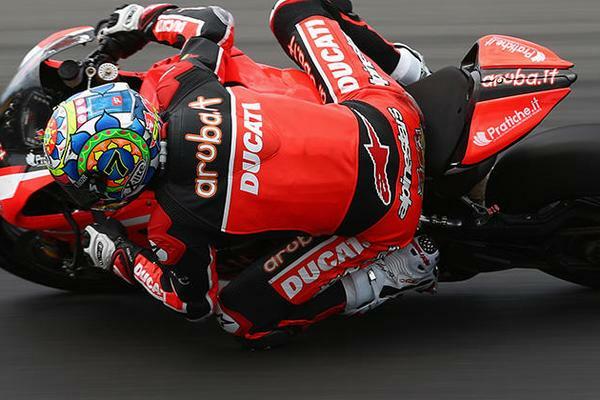 Chaz Davies ha aprovechado su primera pole position en la categoría, para situarse al frente del grupo cuando se han apagado los semáforos y adquirir a continuación una progresiva ventaja sobre sus inmediatos perseguidores, sus compatriotas Tom Sykes y Jonathan Rea. Davies ha acabado cruzando la meta con 1´7 segundos de ventaja sobre Sykes, que le ha ganado la partida al líder del Campeonato, Rea, en la batalla por el segundo puesto. Andre Greipel of the Lotto-Soudal team won Stage 15 after a sprint for the line between four riders. Giant-Alpecin's John Degenkolb was second, with Katusha's Alexander Kristoff third and Peter Sagan of Tinkoff-Saxo finishing fourth. Team Sky's Chris Froome of Britain retains the overall lead after the 183-kilometer (114-mile) eastward trek from Mende to Valence. El alemán Andre Greipel, del equipo Lotto-Soudal, se impuso en la decimoquinta etapa del Tour de Francia con un embalaje en que superó a tres competidores sobre la línea.John Degenkolb de Giant-Alpecin fue segundo, Alexander Kristoff de Katusha tercero y Peter Sagan de Tinkoff-Saxo cuarto. El británico Chris Froome, líder de Sky, retuvo la primera posición en la general tras la etapa de 183 kilómetros (114 millas) entre Mende y Valence. A leadoff home run courtesy of Mike Trout put the American League team in the lead early, and despite a retaliation by the National League, the AL scored five more times to come away with a 6-3 All-Star Game victory at Great American Ballpark. Trout was awarded the All-Star Game MVP award for a second straight year. Con jonrones de Mike Trout (Angelinos) y Brian Dozier (Mellizos), la Liga Americana se impuso 6-3 a la Nacional, en la edición 86 del Juego de Estrellas en las Grandes Ligas de béisbol. Trout fue elegido MVP (Jugador Más Valioso) del partido por segundo año consecutivo. Andy Murray took Great Britain into their first Davis Cup semi-final in 34 years with a dramatic victory over France's Gilles Simon at Queen's Club. Murray looked exhausted when he trailed by a set and a break, but he hit back to win 4-6 7-6 (7-5) 6-3 6-0. Gran Bretaña venció 3-1 a Francia y se clasificó para las semifinales de la Copa Davis por primera vez desde 1981 con la victoria en Queen's de su líder Andy Murray sobre Gilles Simon, en cuatro mangas por 4-6, 7-6 (7/5), 6-3 y 6-0. Finally, Formula One driver Jules Bianchi has died nine months after suffering severe head injuries in a crash at the 2014 Japanese Grand Prix. The news was posted on Bianchi’s official Twitter feed and later confirmed by the Manor F1 team. Finalmente, "La batalla" de Jules Bianchi terminó el viernes, anunció la familia del joven piloto francés de Fórmula 1, que no logró salir del coma en el que entró tras un accidente en el Gran Premio de Japón, en octubre de 2014.